Seiro-mushi meaning “beef and vegetables cooked in a bamboo steamer” is a low-calorie dish. “Umami” (meat flavour and taste) of the Wagyu permeates into the vegetables and you preserve the taste of the natural ingredients. 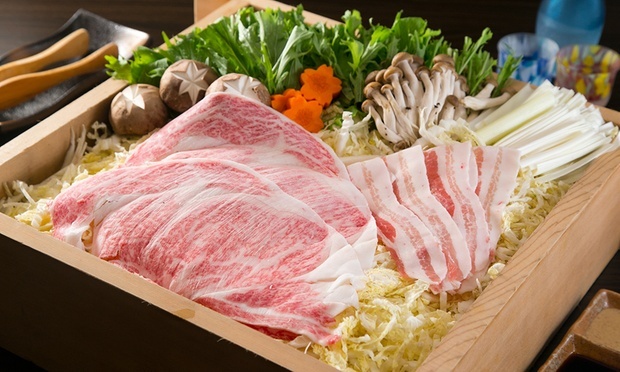 The seiro mushi steamed sliced beef in Japanese wood steamer with seasonal vegetables, is cooked using a steaming method that makes the beef tender and flavourful. Steaming is one of the healthiest cooking methods because no additional fat is utilised to prepare the meat, and the beef also retains its beneficial nutrients because the meat is not placed directly in water.